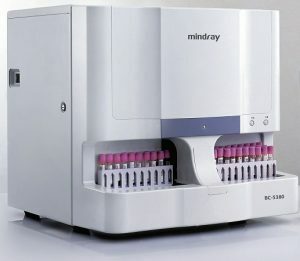 BC-2800 is a compact, fully automatic hematology analyzer with 19 parameters for CBC test and micro sampling technology. The user-friendly interface facilitates an easy and efficient workflow. Compact, Economical and Easy-of-Use for labs. 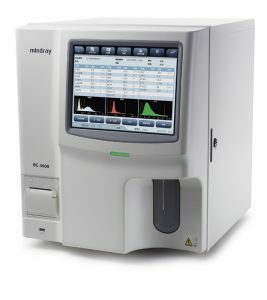 The new BC-5300 Auto Hematology Analyzer is a bench-top system, combining state-of-the-art technologies to provide reliable and accurate five-part hematology results from just 20uL of blood. 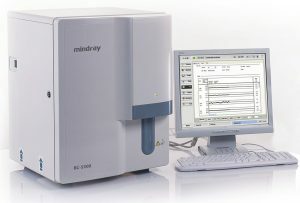 The Windows-based software also provides many advanced features to enhance lab efficiency. BC-5300 requires zero daily maintenance and is equipped with an automatic cleaning set-up to make daily use as easy as possible. Affordable automation for small labs. Utilizing three mainstream technologies, the new BC-5380 Auto Hematology Analyzer can provide rapid and reliable tests from just 20uL of blood. In order to save time and manual handling, an autoloader is equipped to hold 30 tubes at one time and achieve 60 samples per hour throughput. With the popular Windows based software, you can easily perform routine tests, manage patient results, set up auto-cleaning and connect to a LIS server. BC-5380 is the ideal choice to streamline daily workflow.